Now then, we’re jumping around a bit here, but just how did you come to make three games? To be honest, when we made Awakening, we intended it to be the last in the series. 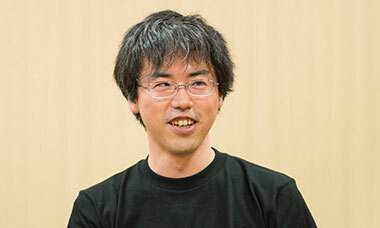 Hatano-san (Shinji)28, who was working as the head of the sales department, said “The Fire Emblem series isn’t making the numbers, so this is going to be the last one.” And the members said, “This is going to be the last one, so let’s put in everything we want so we don’t have any regrets.” Then we had a big list of different things, “I want to do this” and “I wanna do this,” and the result was Awakening.28. 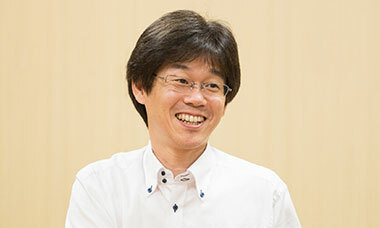 Shinji Hatano: Formerly Nintendo’s senior managing director and head of the sales department. The resulting game sold pretty well. We were able to make a big comeback. 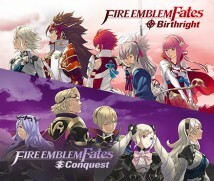 It became the best-selling game in the Fire Emblem series overseas. You had perfect combustion and you burned everything out. In the first Fire Emblem game29, depending on which village you went to, you could only choose either Arran or Samson30. But no matter which character you chose, the story didn’t change. When I said, “Aww, I wish it would change something,” my senior told me, “We can’t, due to limited memory capacity.”29. The first Fire Emblem game: Fire Emblem: Shadow Dragon and the Blade of Light. A simulation RPG released in Japan only for the NES in April 1990. 30. Arran and Samson: Characters from the first game in the series. Arran is a Paladin, and Samson is a Hero. You can only choose one for an ally. That was back during the days of the NES. And then I thought, if we packaged them separately31, people could have the fun of choosing which one they wanted, and wondering “Which should I get?” I was really enthusiastic when I talked to Maeda-san about it, like, “I really want to do that!” and he said, “Hold on just a moment.” A few days later, he came by, and said, “Yamagami-san, I completely agree that we should make two games – like do you ally with Kingdom A or Kingdom B? – but I also think that you could choose not to ally with either. So I want to do three."31. Package them separately: Two versions of the game will be released in Japan. Details on how the three storylines will be made available in Europe will be announced later in 2015. So then there was more. Maeda-san, why did you plan that, when you knew you were setting yourself up for pain? Well, I thought that the ultimate decision of “do you ally with Country A or Country B” was really interesting, but thinking about it from the point-of-view of the players, I thought that they would definitely want the choice not to ally with either. It’s really exciting to think about how the world would be if you didn’t rely on either country’s influence. For me, making three stories was a natural progression. So you accepted your fate as a director for the sake of gameplay. And then you asked Kibayashi-san to write the scenario. But even though we asked Kibayashi-san to write the scenario, I could tell it was going to be a lot of work. For example, in a battle, you could make it so you could use the same map, have the A army come from this side, and the B army come from the opposite side, you could just flip the map around, and we could economise that way. But in the end, we didn’t recycle much of anything. You just went and made a new map for each one. Right. And we couldn’t recycle any of the scenario. So they’re not complete opposites. It’s more like we’re viewing them at a 45-degree angle. What do you mean a 45-degree angle? That’s right. All of the characters are simple and good people who have the strength of conviction. But you have to choose which to align with, so there really is a struggle there. So as the story moves forward, you’ll always have this feeling of remorse towards the side you chose to oppose. Kibayashi-san, what did you choose to focus on when you wrote this story? I really wanted to make sure that it would make players cry. I think that the world of Fire Emblem really lends itself to that. It does lend itself to that. And especially with this storyline, you start out feeling like, “On one hand I want to ally myself with both kingdoms, but on the other hand I don’t want to align myself with either.” So it was really easy to add in elements that would make people cry, or things that would be really touching. Of course, it’s all a betrayal. That’s true. Because the side you didn’t choose becomes your enemy. And that means that the enemies’ words really cut deeply. And when you make the betrayal, it is a little depressing, like, “I’ve passed the point of no return.” But at the same time, it makes you feel like, “I’ve still got to solve this somehow.” And I think that helps you to move forward. That makes me want to play both sides.